Davin students and staff are encouraged to wear a jersey on Thursday, April 12th in honour of the Humboldt Broncos. As many of you already know, three-way conferences at Davin have been scheduled for March 16th. This term we will be using an online booking system called SchoolSoft Conferences. All Grade 8 students and their parents/guardians are invited to join us at their neighbourhood Regina Public high school open house! February and March 2018. 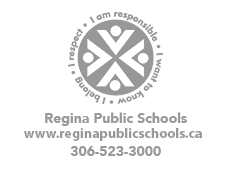 Discover the difference your neighbourhood Regina Public high school can make! The Davin Dragons will celebrate Family Literacy Day on January 29th from 6:00-7:00 p.m in the school gym. Students in grades K-4 and their families are welcome to come to the school and listen to SASK Storyteller, Kevin MacKenzie, share stories, poems, songs and rhymes! Wear your pajamas and bring a stuffy!